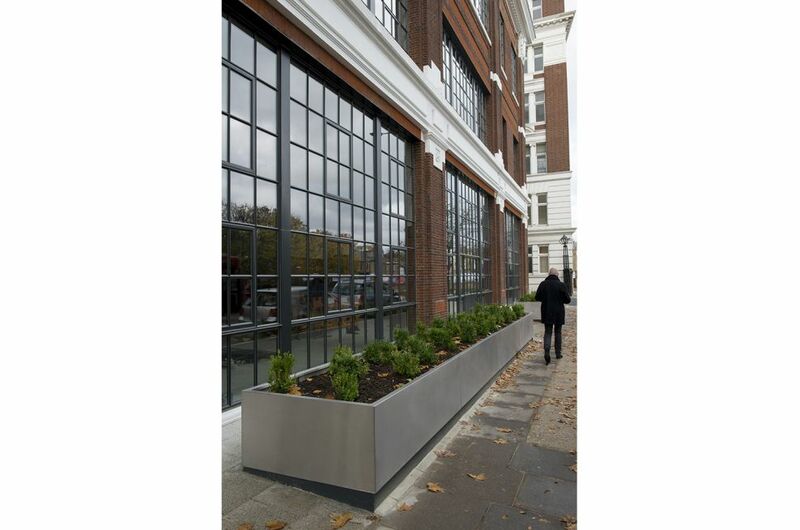 IOTA supplied bespoke stainless steel street planters for 184 Shepherds Bush Road – an historic Grade II listed building, now converted to Category A office space across six floors, under a striking domed glass roof. 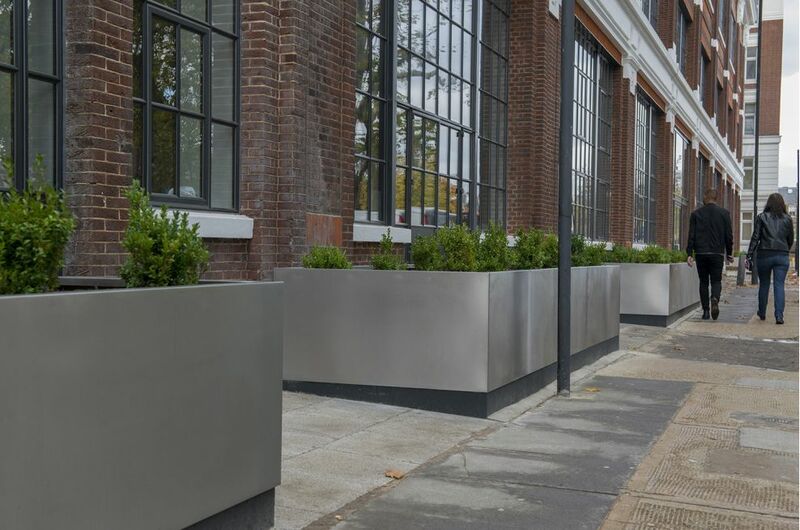 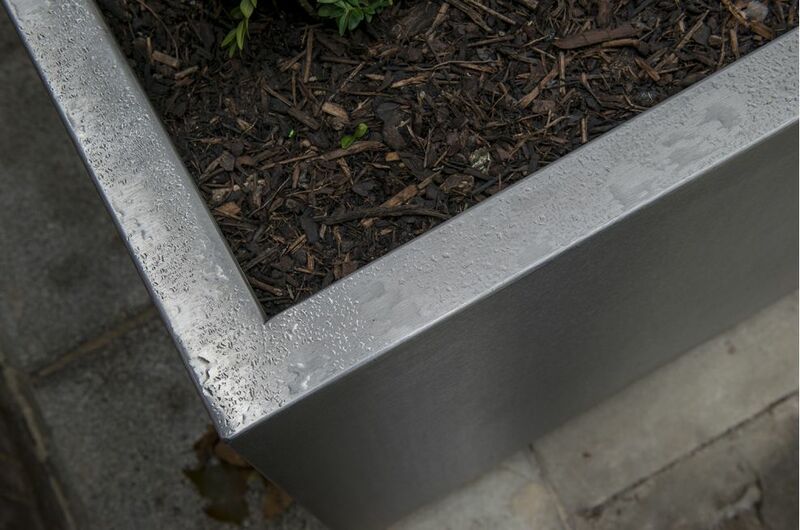 The planters were manufactured from 304-grade Stainless Steel, with a brushed finish. 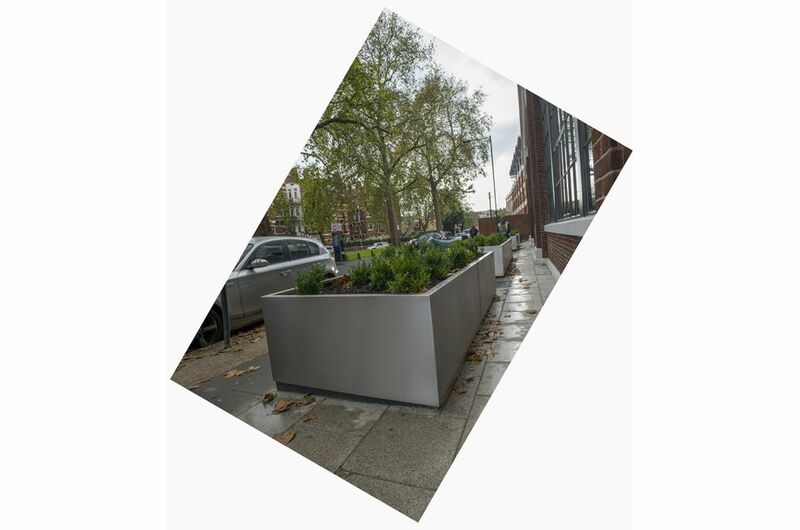 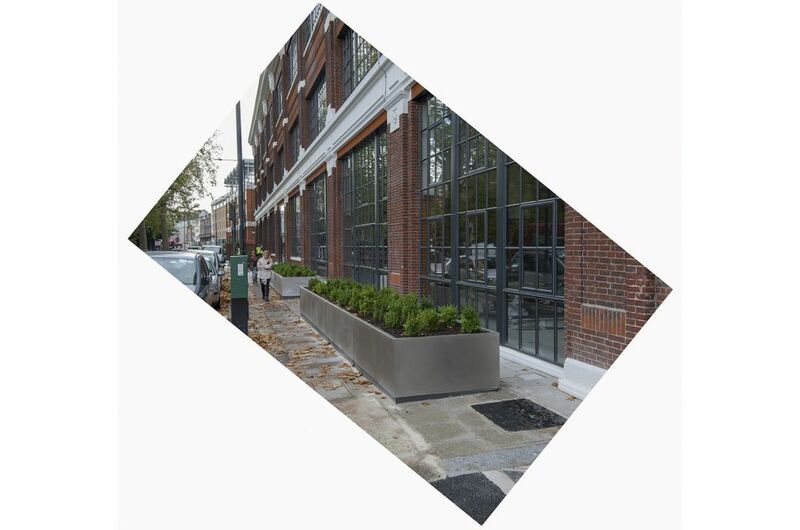 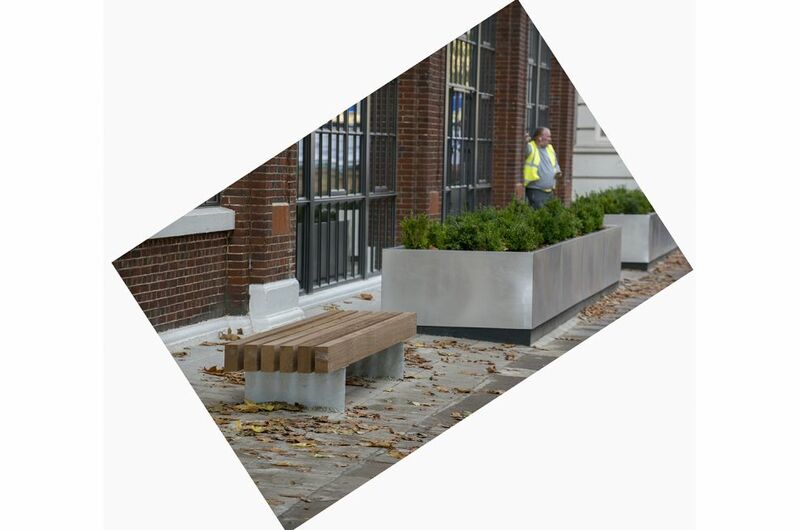 The planters create a total planted Length of 29540mm along the street frontage of the building, divided into 6nr. 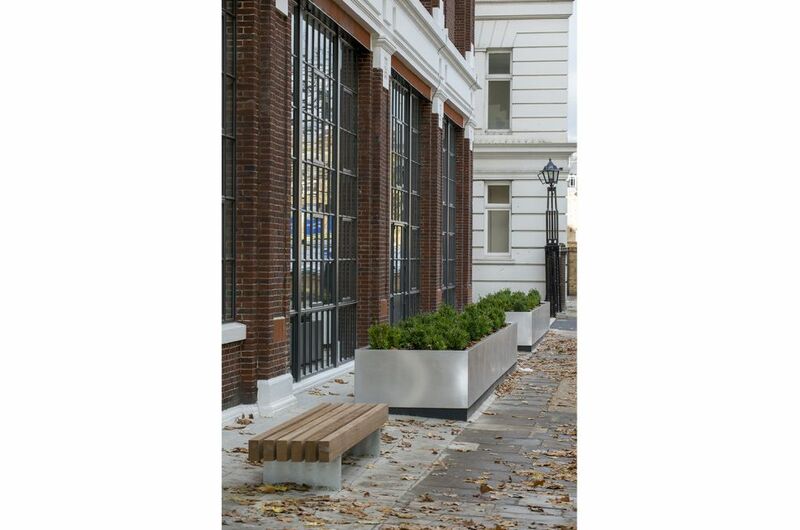 discrete planters each of W 1200 x H 600mm. 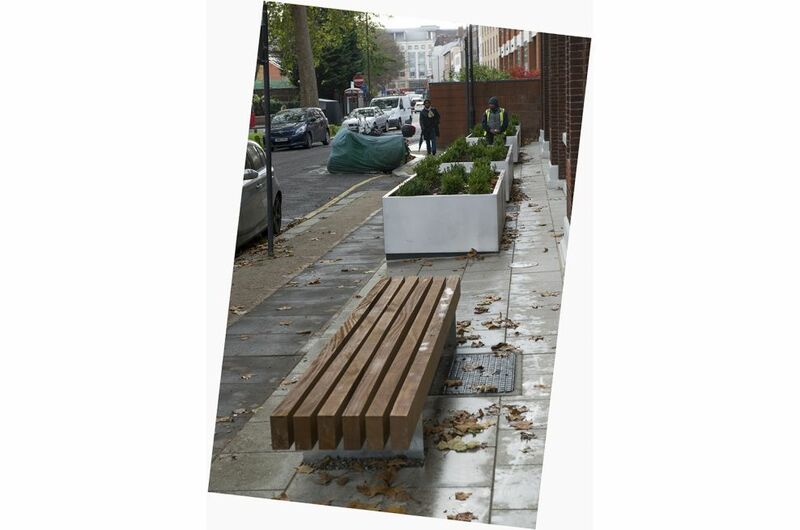 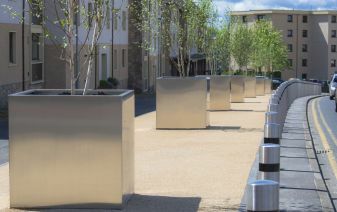 The individual planters vary from L 3070mm to L 8530mm, and were sectioned for on-site assembly; and following IOTA’s standard design, the sections are joined together below the soil level, so that the surface planting appears visually continuous. 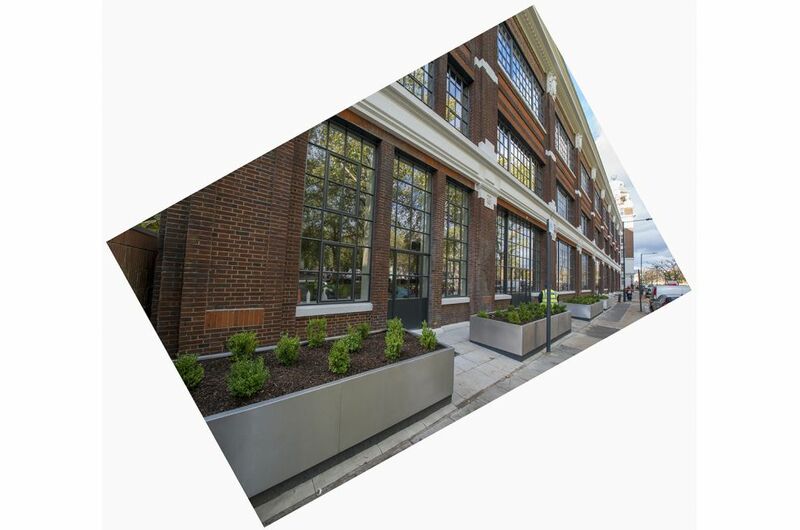 184 Shepherds Bush Road is the new European headquarters of customer science company, Dunnhumby. 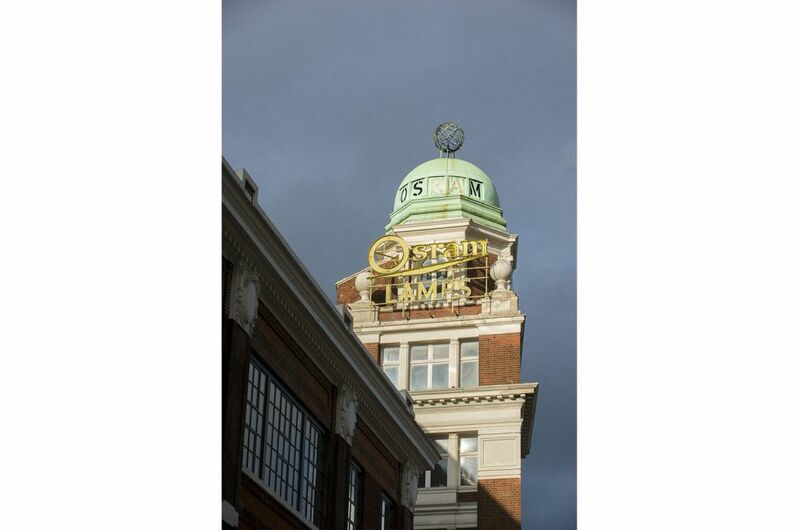 It is a Grade II listed building originally built in 1915, and is a former Ford Motor Company factory and showroom. 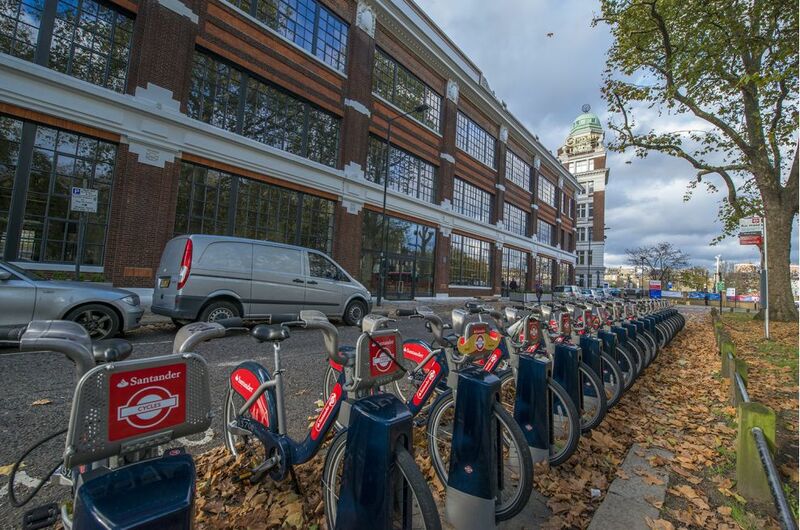 The conversion has created 117,000 sq ft of Category A office space across six floors, under a striking domed glass roof. 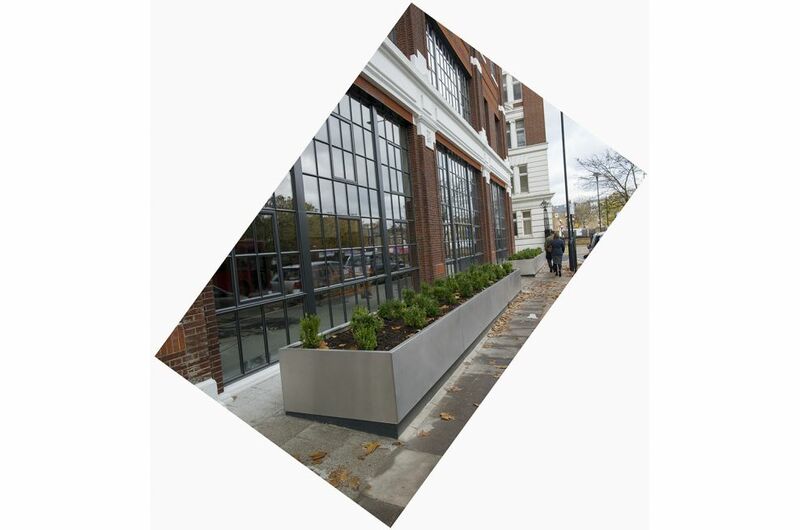 The contractor on the project was McLaren Construction.